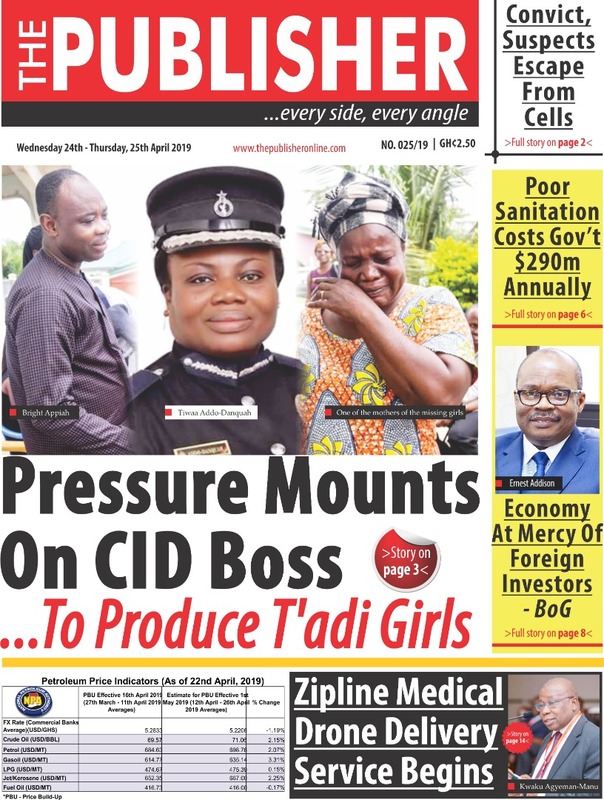 An Accra circuit court on Monday remanded two persons for allegedly defrauding a policewoman of GHS60,000 under the pretext of clearing her two vehicles from the port on her behalf. Foster Afomale, a mechanic, was charged with obtaining electronic payment falsely and defrauding by false pretence while Kwaku Agbetor, a Togolese mason was charged with abetment of crime. Their pleas were not taken as the prosecution prayed for time to do further investigation. They will return to court on February 18. Prosecuting, ASP Emmanuel Nyamekye told the court presided over by Mrs Ruby Naa Aryeetey that the complainant, Florence Antwi is a police officer stationed at the Kotoka International Airport (KIA). According to ASP Nyamekye, in October 2018, Ms Antwi received a text message from a U.S. sim number by which the sender introduced himself as one Captain Richmond Tawiah, a military officer on UN mission in the United States. The supposed clearing agent asked the complainant to pay GHS 60,000 for that purpose. The prosecution said after the money was deposited, the phone lines of both the ‘military man’ as well as the ‘agent’ were blocked and the cars too were not sent to her. The prosecution said on January 14 2019, the suspects were arrested and in their statements, Afomale claimed he received a message alert when the money was deposited so he called Agbetor who came to Aflao to withdraw the money for him, for which he gave Agbetor GHS1,500 as his fee. The prosecution said Afomale claimed he transferred the money via mobile money to one Daniel Dumenu, the brain behind the crime, who is currently serving a jail term at the Ankaful Prisons.